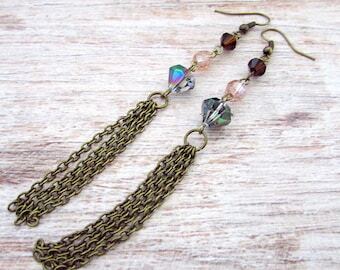 This lovely, tribal long necklace will be the perfect accent to your festival and gypsy outfits. The gorgeously large and humanely harvested sea urchin spine has been expertly wrapped in beautiful copper wire and accented with thin copper chains. Opalite glass, Red Coral and a marbled acrylic bead were added to give hints of color to the pendant. The pendant has been strung on a sturdy, oxidized copper chain with matching lobster claw clasp. Chain of this necklace is long enough to slip on. 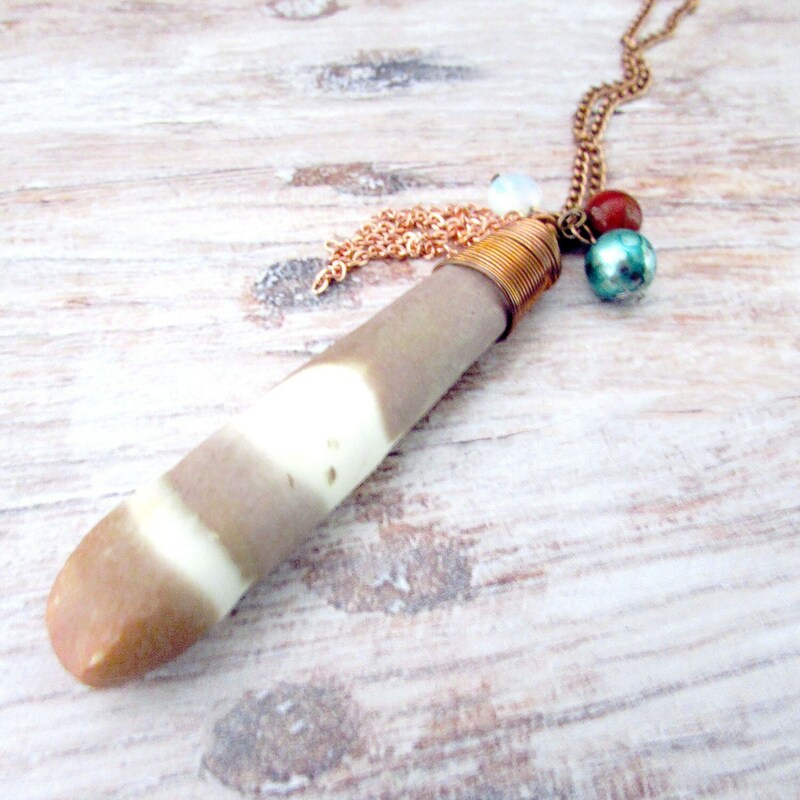 The long length of this unique necklace is great for layering with shorter ones or wearing alone. It is also a great necklace for the office or for weekend wear. It can even be worn with your little black dress for added drama. Each one of these sea urchin spine necklaces will be different as the patterns of the spines differ. No two are alike. This necklace measures approximately 29 inches (73.66 cm) in length. The pendant measures approximately 3.5 inches (8.89 cm) in length.